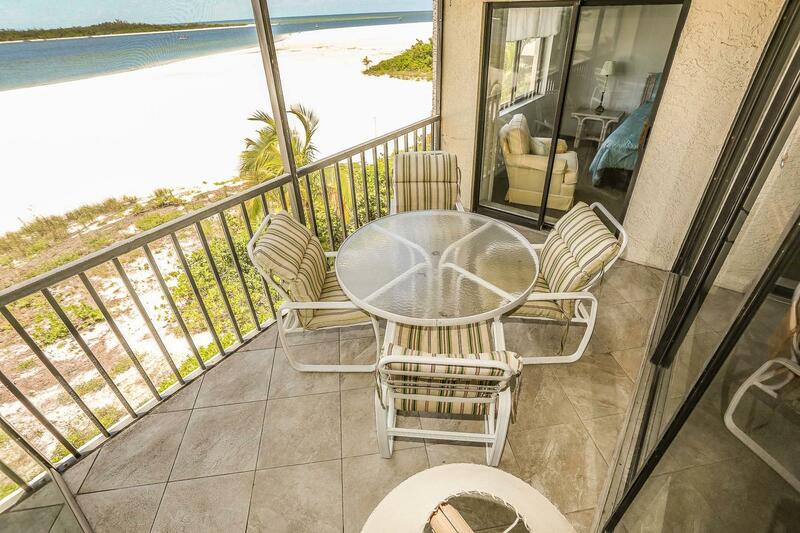 Just as you step in the front door of this cozy vacation rental you look straight out onto the Gulf of Mexico. 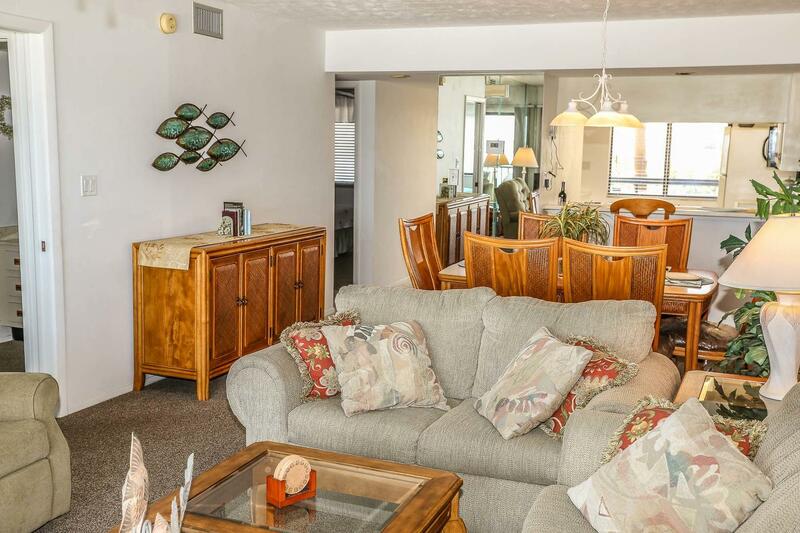 Island's End condominium is the last building on the southern end of Fort Myers Beach. 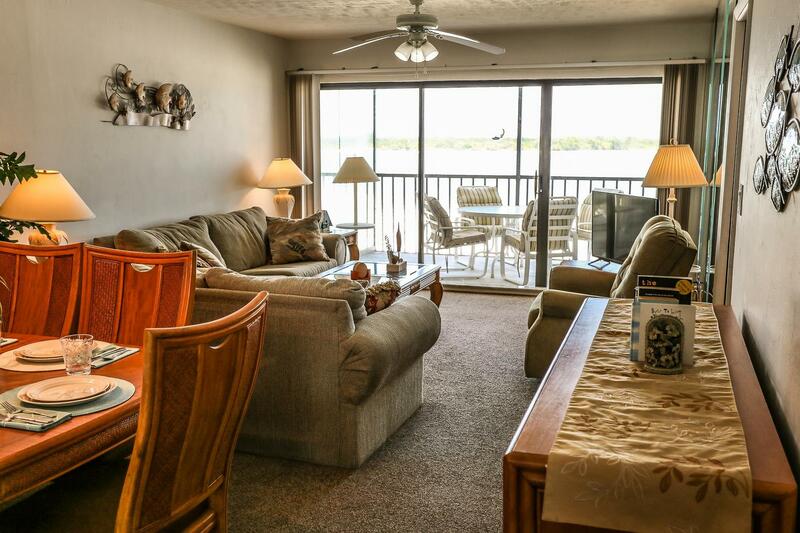 Enjoy breathtaking views from the lovely 2 bedroom/2 bathrooms condo that sleeps 4 guests. 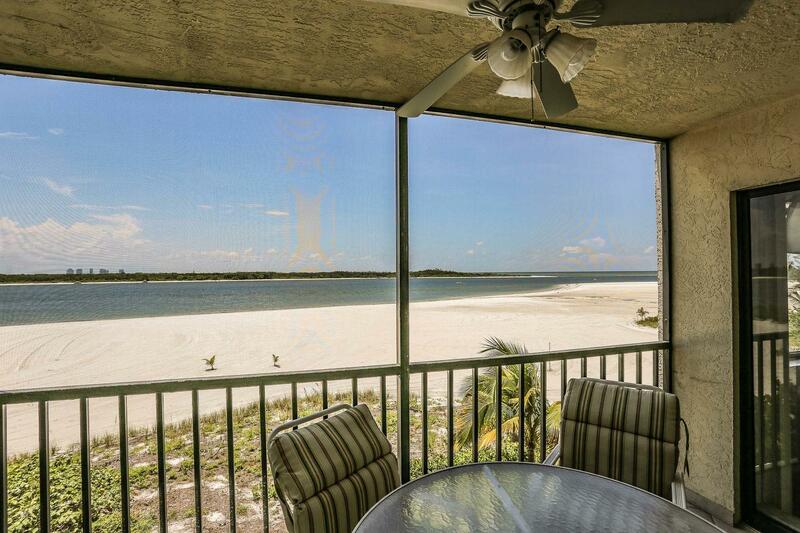 Just as you step in the front door of this cozy vacation rental you look straight out onto the Gulf of Mexico. Vacation in paradise in this darling condo. 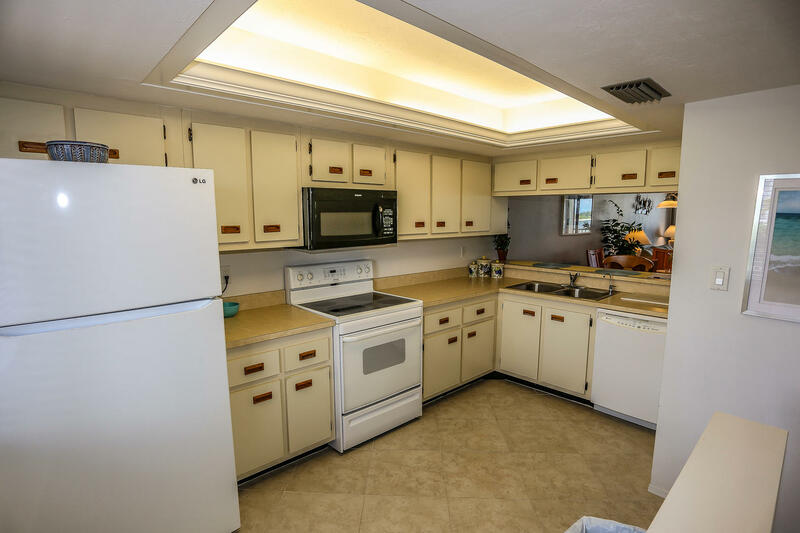 The kitchen is fully equipped with a refrigerator, dishwasher, oven/stove, microwave and includes all your dinnerware, cookware and cooking utensils. 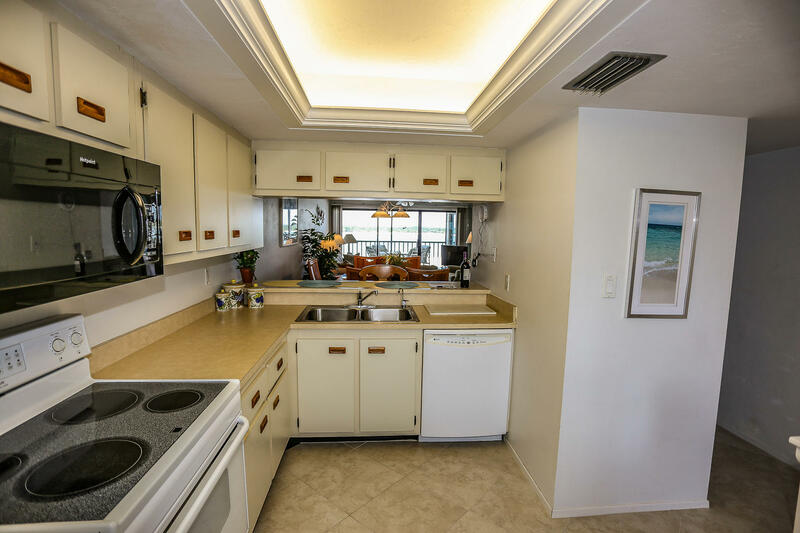 Plenty of room to create your culinary delights. 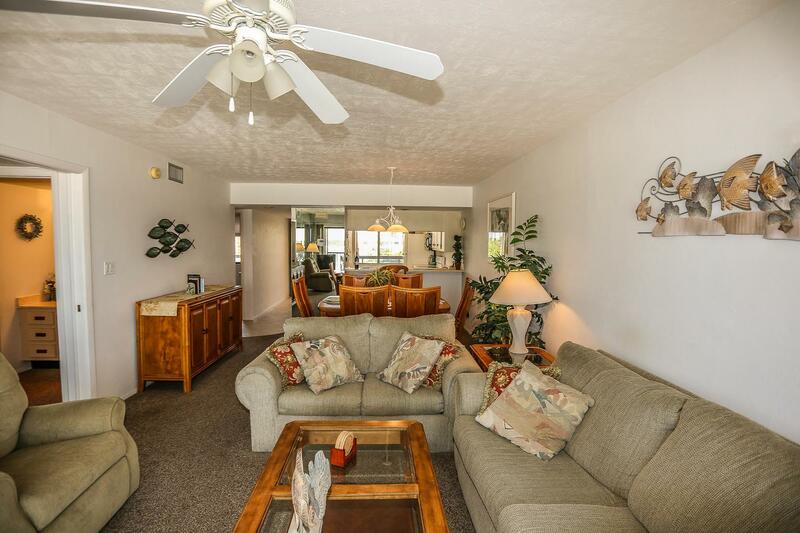 The open and airy floor plan of the dining and living room offers plenty of space for all guests. 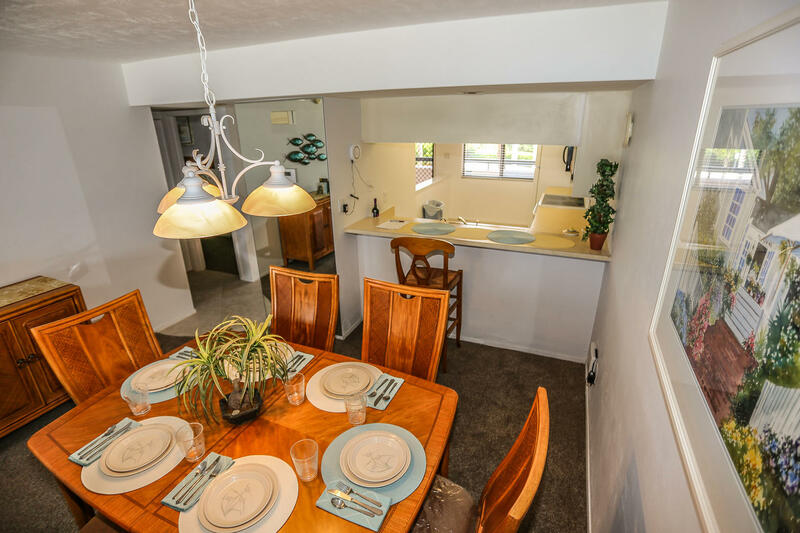 The dining room is conveniently located just off the kitchen which makes it easy for serving and cleaning up. 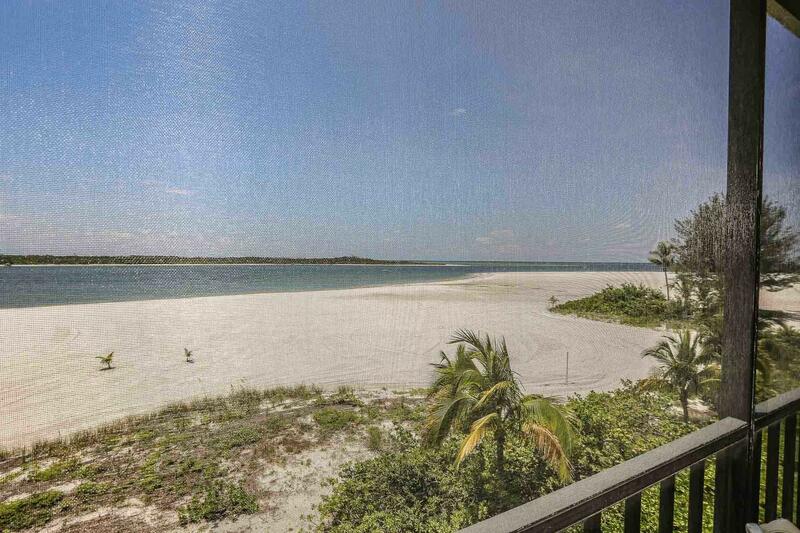 The living room overlooks the majestic sandy beach. Curl up on the couch and watch a nighttime movie on the flat screen TV or relax as you post your vacation pictures on your laptop with high speed internet accessibility. 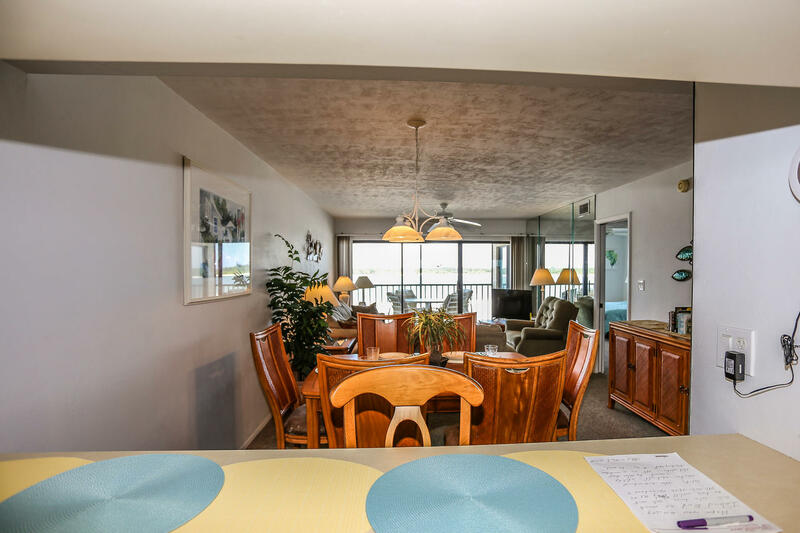 The sliding glass doors open onto the screened balcony which is the perfect spot for your morning cup of coffee as you watch the sun rise or an evening cocktail as you watch the sun set. Whatever time of day you choose to enjoy this outdoor area, you will be sure to enjoy all the beauty that Fort Myers Beach has to offer. 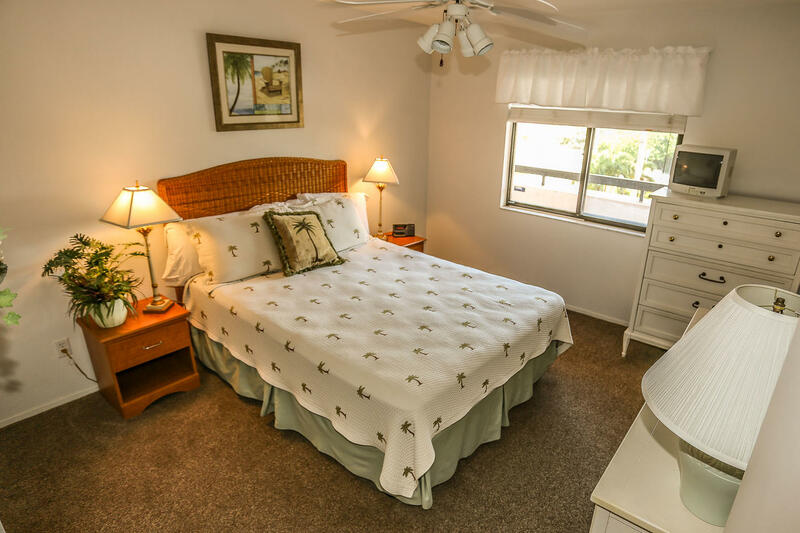 The master bedroom features a queen-sized bed, dresser and flat screen TV. A sliding glass door opens onto the balcony which provides for some quiet time and star gazing. 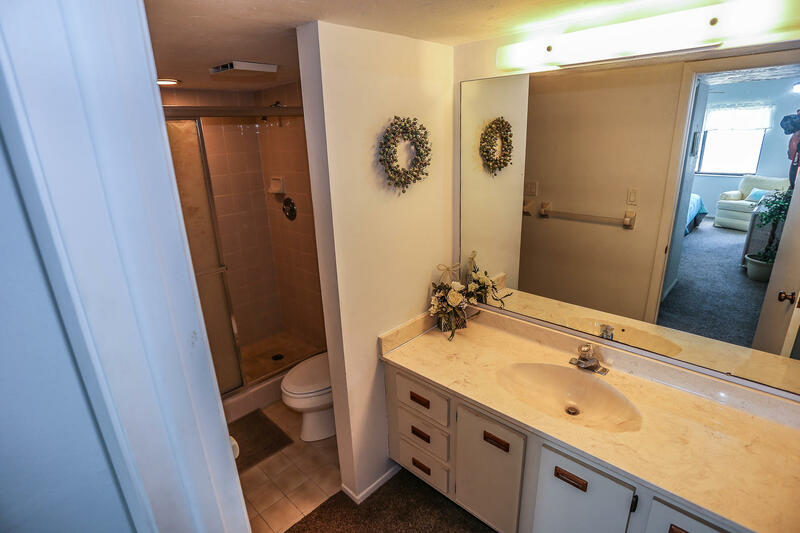 The master bathroom has a separate vanity area with plenty of counter and cabinet space for your toiletries. The toilet and shower area are separate, so this makes getting ready in the morning a breeze with all the space and privacy that you need. 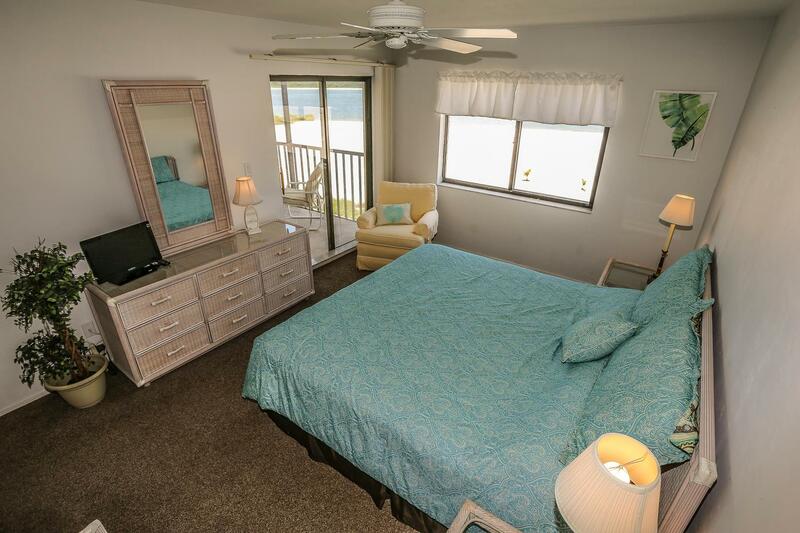 The guest bedroom has a queen-sized bed, dresser, and plenty of closet space to store your beach wear. This second bedroom has a flat screen TV for your viewing pleasure. 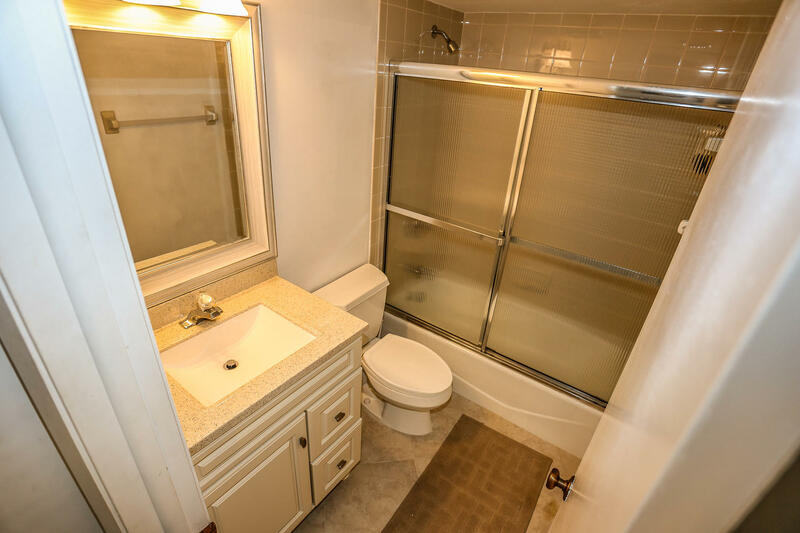 The guest bathroom has a shower/tub combination with a spacious vanity and sink. 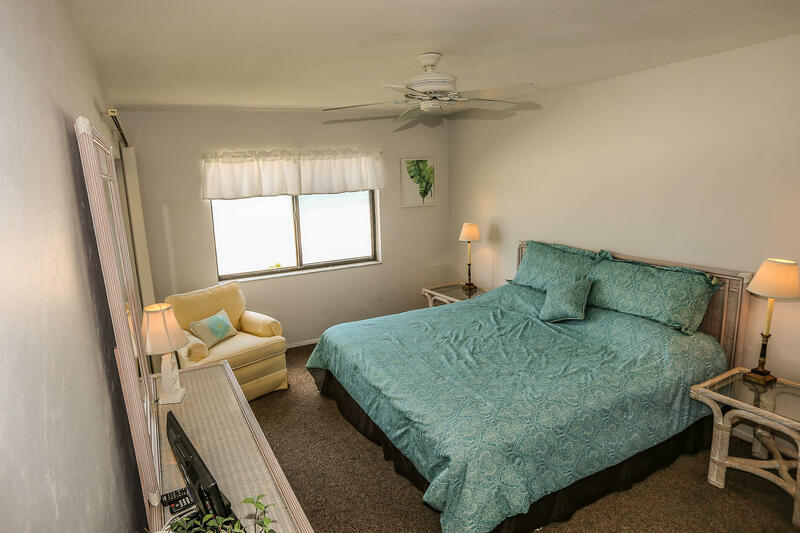 All your linens, towels, and beach towels are provided for your use. 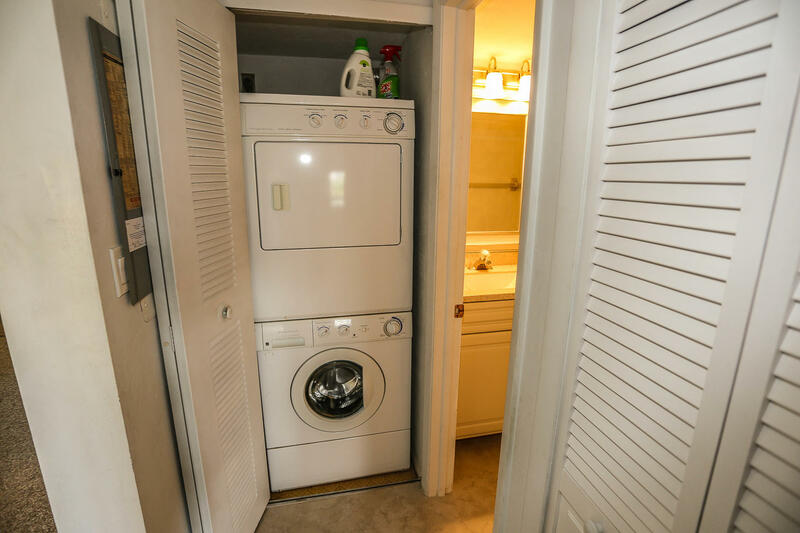 There is a washer and dryer within the condo for your laundry convenience. 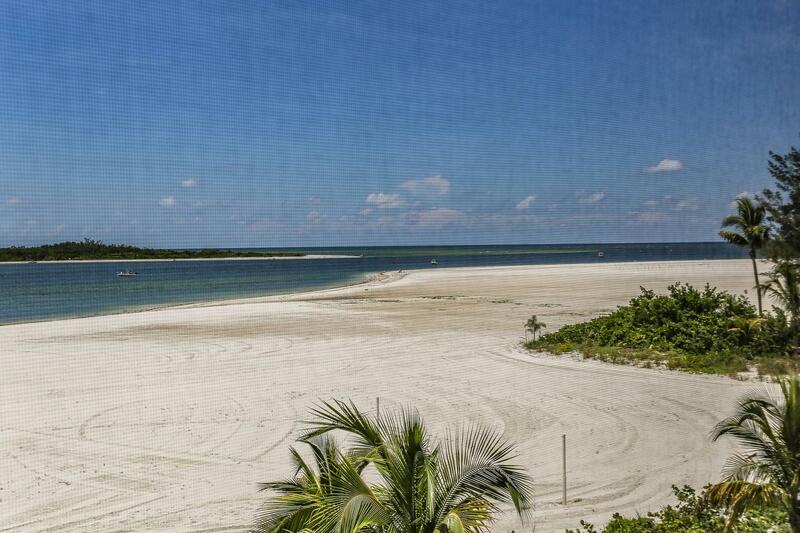 Island's End is a short drive to Lover's Key Resort and State Park. Perfect location for kayaking and a nature stroll. On the north end of the island visit the shops, restaurants and enjoy the nighttime entertainment of Fort Myers Beach. 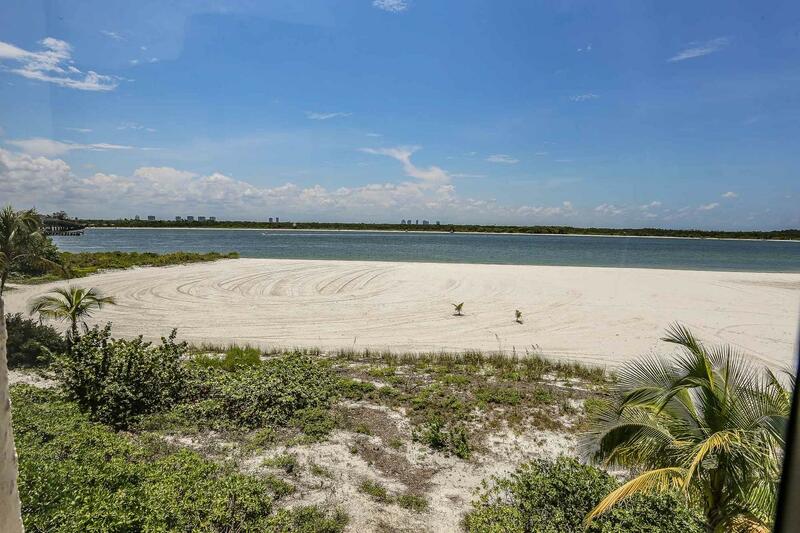 Cast your line off the fishing pier, pack a picnic lunch and play a game of volleyball at Crescent beach family park. The outdoor activities are plentiful here on Fort Myers Beach. 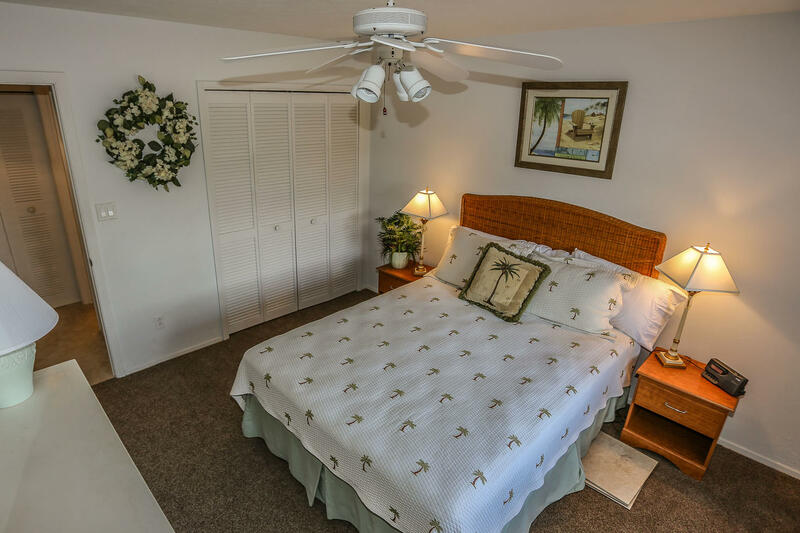 Island's End condominium has a shared heated pool with chaise lounge chairs for your relaxation as you enjoy the Florida sunshine. Enjoy an evening barbeque prepared on the outdoor grill. 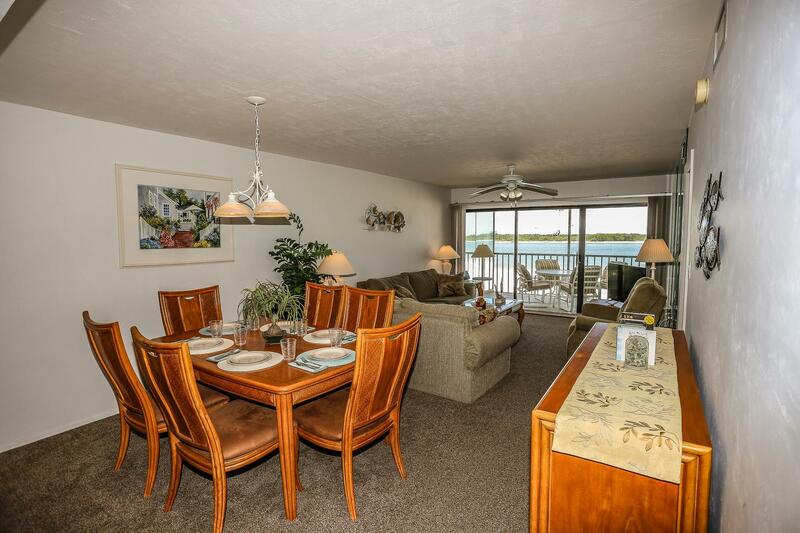 Paradise awaits you at this darling vacation condo located at Island's End #204.